What promised to be Sydney’s answer to its electronic ticketing woes back in the early noughties ended this month with a pre-trial settlement between the developer of Tcard and the NSW Government. Tcard was initially designed as a multi-mode smartcard planned for use at the time of the 2000 Sydney Olympics, but failed to get off the ground and finally scrapped in 2007 after $64 million had been spent by the tax payer to fund its development. The developer ERG, now Videlli, lodged a lawsuit in 2008 against the NSW Government over the project’s termination, but the Government lodged a counter claim, which last week saw an out of court settlement which sees Videlli pay the NSW Government $5million. A NSW Supreme Court trial was due to start on Monday February 20 into the matter, but both parties opted for mediation and the subsequent settlement. NSW Transport Minister Gladys Berejiklian welcomed the out of court decision. "Under the settlement, the State Government retains approximately $27 million previously recovered, and the defendants have now made an additional cash payment of $5 million," Berejiklian says. "The cross claim against the Government is discontinued," she says. A reason for the failure of the Tcard project as a multi-modal smartcard relates to the complexity of Sydney’s rail system and fare structure. The Pearl Consortium was appointed in April 2010 by the then Keneally Labor Government to ‘start again’ and develop a simpler smartcard option for the greater Sydney region, leading to the O’Farrell Government’s announcement of the Oyster-style 'Opal' Card in September last year. Berejiklian claims NSW taxpayers have been spared a potential multi-million dollar payout over Tcard’s scrapping in 2007. "Apart from sparing the State a potential multi-million dollar payout, this resolution means Transport for NSW experts working on the introduction of the Opal card can now do so without the distraction and demands of a long and complex court case," she says. 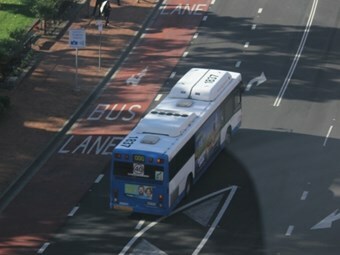 Berejiklian says the development of the Opal is on track for late 2012 roll out. "We are on track to roll the Opal out to ferry customers in December this year (and) after ferries, Opal will be progressively introduced on trains, then buses and light rail."